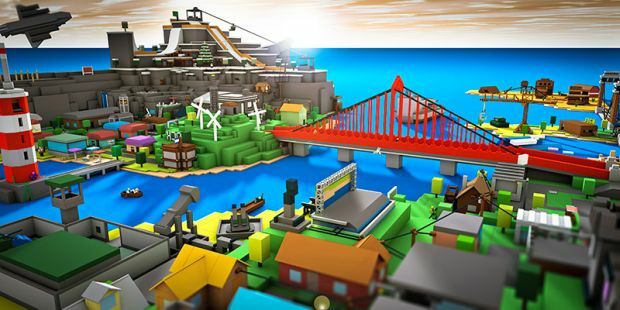 Roblox Corporation talks about the Xbox One version of its massively multiplayer sandbox title. Among the massively multiplayer online games coming to Xbox One, you can add Roblox to the list. Roblox is focused on building and catering to kids and teens. The sandbox elements are especially interesting when you consider the progress made from beta till now but there’s a lot more to learn about the game now that’s heading to the Xbox One. 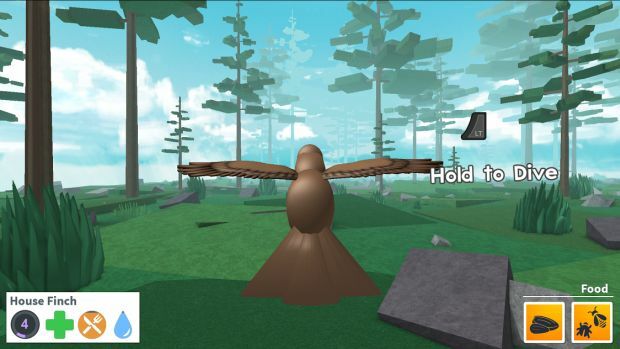 We spoke to Keith Lucas, Chief Product Officer of ROBLOX for his take on the game and its various elements, including the decision to bring Roblox to Xbox One and its use of cloud computing. "The vision of ROBLOX is to enable creators to build a game once and push it to all screens simultaneously. Since we already have the major desktop and mobile ecosystems covered, console was the obvious next step." To me, Roblox is a very interesting platform – it’s been around since 2004 and has catered to children/teens since then. What can you tell us about platform’s history and the long road of development it’s been on? From the beginning, the vision of ROBLOX is to be a creative place with limitless possibilities for creators of all ages. We started out simple with a basic game engine, rudimentary hosting, and distribution on just the PC. But the vision of our founder, David Baszucki, was much much bigger. How can we connect people around the idea of playing and creating together? ROBLOX was very early in the user generated content movement; gaming happens to be the most complex ecosystem, so it takes longer for the technology and community to develop. ROBLOX technology is much more sophisticated and our community is in the millions. So we’ve come a long way. Roblox has predominantly been around on PC and Mac OS X along with mobile platforms. What influenced the decision to bring the game to Xbox One? The vision of ROBLOX is to enable creators to build a game once and push it to all screens simultaneously. Since we already have the major desktop and mobile ecosystems covered, console was the obvious next step. In terms of why Xbox specifically, we’ve had a long history with Microsoft on the technology side, so there was already a great relationship in place when we began discussions for bringing ROBLOX to Xbox. Roblox allows users to socialize, create their own worlds using various shapes and colours and also created customized scenarios. There are a few similarities to Minecraft (at least in terms of building and socializing), which already has a strongly established presence on Xbox One. Is there any concern about directly competing with Minecraft for a share of its user base? We don’t look at Minecraft as a competitor, but rather as a complement to ROBLOX. Millions of kids are growing up building 3D environments in Minecraft, and that’s awesome. ROBLOX is a game creation platform for those creators who want to take the next step and build a full game. We actually see a lot of kids graduating from Minecraft to ROBLOX on the creation side especially. Minecraft is a great place to start building. We think ROBLOX is the best place to create and share your first game. There’s room for both of us. Ultimately, the real winners are the users who have more options than ever to express themselves. 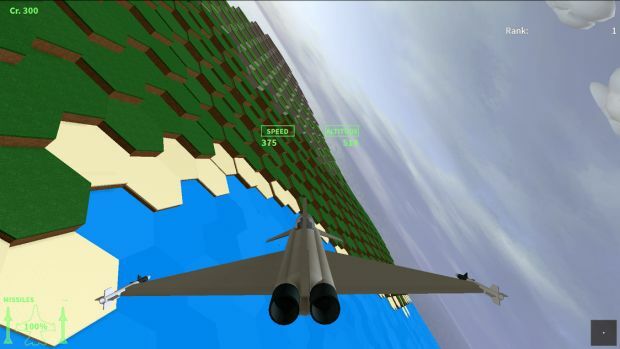 One major distinguishing feature for Roblox is its visual style especially with the addition of Smooth Terrain to the engine. Are there any other graphical features you’re interested in incorporating for the coming years? In addition to Smooth Terrain, this year we launched particle effects, neon and dynamic lighting, some new materials, and a totally new physics engine. In the future, we want ROBLOX games to be on par with Pixar films. We are going to keep pushing the frontiers of technology and creativity so our creators can build anything they want. "Our platform is architected from the ground up to move from OS to OS and screen to screen. Remember, we’ve already ported from PC to Mac to iOS and to Android. So Xbox is just another extension for us." What changes or platform specific features will Roblox have on the Xbox One? For that matter, will future updates on the Xbox One be released at the same time as on other platforms? The big difference about ROBLOX for Xbox is that we’re not launching the entire ROBLOX catalogue right off the bat. Initially, we’re starting off with about 25 of the best ROBLOX games that have been updated for the big screen and controller play. That will give the Xbox community the best initial introduction to community created gaming on ROBLOX. It’s also allowed us to work out the bugs with a smaller group of developers and not drive out whole developer community nuts. We’ll add additional ROBLOX games in 2016 once we get to know the live Xbox environment. The vision of ROBLOX is full UGC gaming everywhere, delivering the best content for each platform. How difficult was it to incorporate Roblox’s interface and layout to the Xbox One, especially considering the game’s PC roots? Did you find any advantages to working on Xbox One versus other platforms? Not difficult at all. Our platform is architected from the ground up to move from OS to OS and screen to screen. Remember, we’ve already ported from PC to Mac to iOS and to Android. So Xbox is just another extension for us. I will say that the Xbox team was awesome to work with. They supported us every step of the way. Our community creators made tweaks to their in-game GUIs to take advantage of the larger screen size of consoles, but they didn’t have to rewrite their core code. So they loved it. Given Roblox’s use of real-money transactions, how do you feel this will translate on the Xbox One among its users, especially since some games have already incorporated the same? In-game transactions and free to play models are increasingly popular across all platforms. There are already plenty of games on Xbox that include them. So users understand how it works by now. The whole point of our business model is to democratize game creation and give the next generation of creators a chance to reach an audience. By being free, we eliminate the biggest barrier for players to try a different type of game that they might love. What measures are being taken to protect Roblox’s user base – considering the age of its users – on Xbox Live? In terms of content at launch, we have a limited set of games that we’ve hand curated. So this is an E10+ game. We won’t have text chat like we do on desktop because that doesn’t work well with a controller. There’s very little opportunity for a child to come across something inappropriate. We will be incorporating the Xbox voice chat, which has its own abuse reporting and moderation policies that are run by Microsoft. But parents can just turn that off for kids if they have any worries. "Again, without speaking specifically about PS4, I’ll say that we didn’t launch iOS and Android at the same time either. Our company philosophy is all about learning and iterating." Roblox is no stranger to cloud computing and Microsoft has been making significant in-roads into the same with its Azure servers. Will you be tying up with Microsoft in any way to bring cloud compute functionality to Roblox on Xbox One? We have integrated cloud technologies from the beginning of ROBLOX, and have built a highly optimized hybrid of cloud services and physical data centers. One of the newest parts of our platform was recently launched on Azure, and it’s been performing terrifically. I expect us to expand our Azure presence in 2016. In addition,we have built a geographically distributed proprietary cloud for our game servers, called the ROBLOX Compute Cloud. It runs on Microsoft Windows servers. You could argue we’re already one of the largest cloud gaming companies out there. Is there any chance of Roblox arriving on PS4 any time in the coming years? What are your thoughts on Sony’s platform at this point, especially considering its success? I can’t speak specifically about PS4 other than to say it’s a great console. Generally, our company mission is to enable the world to play and create together. We want ROBLOX to be available to anyone, anywhere, on any screen or device. Furthermore, why did you select only the Xbox one at this point and not the PS4? Again, without speaking specifically about PS4, I’ll say that we didn’t launch iOS and Android at the same time either. Our company philosophy is all about learning and iterating. And unlike AAA games, we don’t depend on a holiday launch schedule to make or break us. We’re here for the long haul and can be more deliberate about expansion. Is there anything you want to add before we let you go? Just that there’s never been a better time to be in gaming. Most of the initial ROBLOX for Xbox games were created by high school and college students who taught themselves how to code. I think we have one 8th grader in there as well. They built these games in their bedrooms and dorm rooms for free on ROBLOX, and now those games are going to a premiere console. I hope that inspires people. There are no limits other than your creativity and hard work.